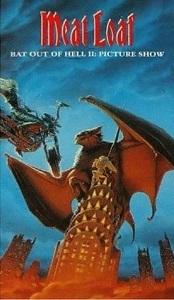 Bat Out of Hell II: Picture Show is a 1993 music video by Meat Loaf. Besides the three music videos directed by Michael Bay for the singles from Bat Out of Hell II: Back into Hell, the video contains three live performances and interviews with Meat Loaf and songwriter/producer Jim Steinman. Until the release of the 2006 Collectors Edition of Bat Out of Hell II, this was the only official release of the video clips. This page was last edited on 14 April 2018, at 22:34 (UTC).